Throughout all Bachelor programmes students are offered 12 industry related project weeks, dealing with real-life cases instigated by external businesses and organisations. All Bachelor students are offered an up-to 6 months (often paid) work placement in an international company or organisation, in or outside the Netherlands. Students can earn between 250 to the minimum wage per month for their work placement. - execute a business plan in a real-life business start-up. 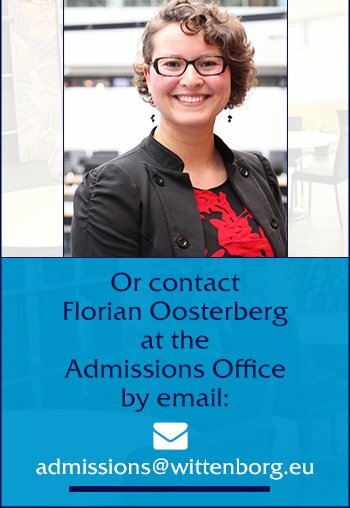 Master students are also offered the chance to complete an internship at a company in the Netherlands. Students on the BBA Entrepreneurship programme will also carry out 2 simulated business start-ups. Bredenoord - A power supply company had Ishebo Twijukye from Wittenborg University as an Intern student! “What struck us was Ishebo’s willingness - no matter the task, he took it on. Interns of other universities can often be picky when it comes to tasks and assignments. Ishebo's theoretical level of understanding was more than sufficient and working with him was a pleasant experience. He impressed us with his connections in Uganda and Tanzania and was willing to do other tasks outside his intern assignments. We are open to more interns from Wittenborg University.” – Zef Jansen, Export Department – Bredenoord.